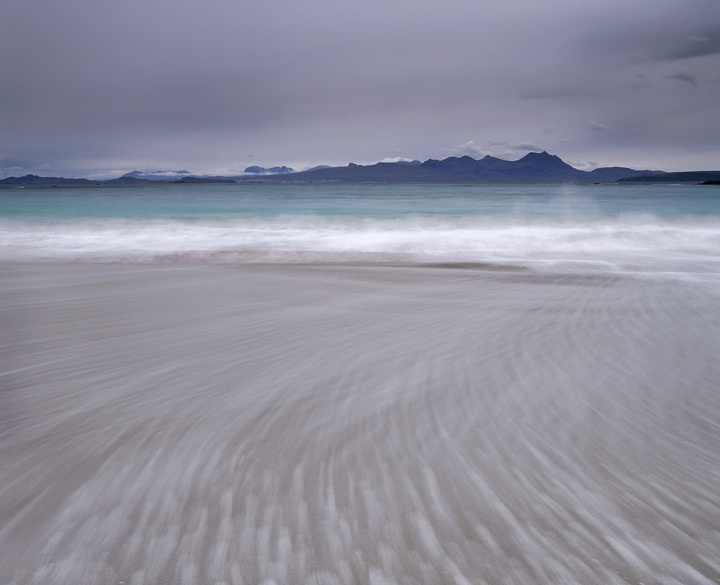 Beach Sweep Mellon Udrigle, Laide, Scotland. Mellon Udrigle near the west coast scottish village of Laide has a stunning red sand beach. On New Years day 2009 I arrived at dawn to find a heavy sea breaking beneath a grey moody sky. The water glowed turquoise beneath it and I exposed my shot for some ten seconds as the breaking wave retreated. I regard this as one of the finest shots I have taken and consequently it also appears on my best dozen list.